Rolla Sims Taylor (1872-1970) originally from Galveston, Texas, started painting at the age of 14. In 1894 Taylor won first prize in a local art competition. He won $500 for his winning painting (Entrance to the Spanish Governors Palace, San Antonio) and sold the painting for another $500. (Information is from the Express News, Sept. 15, 1968, from a personal interview of Taylor by Bob Dale) The award was given by the Art League, a predecessor of the present San Antonio Art League. Before arriving in San Antonio in 1889, the Taylor family spent several years in Houston and then to Cuero, Texas by covered wagon. 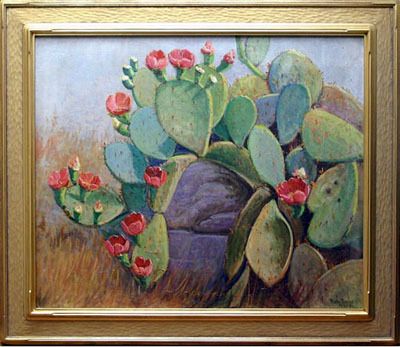 Taylor graduated from the Cuero Institute and later studied under Robert Jenkins Onderdonk, Jose Arpa and Theodore Gentilz. Also studied in France for 3 months and with Arthur W. Best in San Francisco & Frederick Fursman in Michigan. 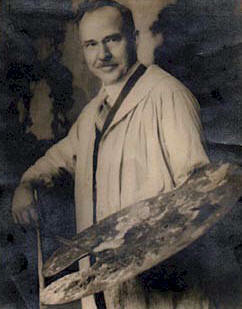 Taylor was a personal friend of Julian Onderdonk. Taylor exhibited frequently, including local, state and numerous national exhibitions throughout America. 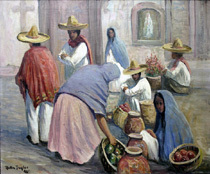 He painted in the impressionistic style, lively with color and flooded with sunlight, which represents Jose Arpa's influence. 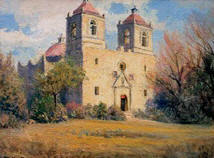 His subjects were mostly buildings, landscapes, missions of San Antonio and scenes of Monterrey and Satillo Mexico. 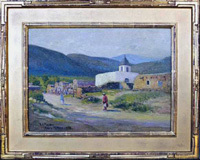 Many of his local paintings are now of historic interest that recorded buildings that no longer exist. 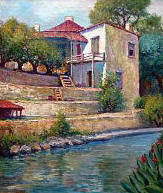 His paintings are very well executed in color and composition and the author considers his works to be important, representing early renderings of the San Antonio Art Colony. In his earliest years as an artist, he was not exclusively devoted to landscapes and townscapes. He would paint a pair of shoes, a cat, some books, Mexican jugs or anything in the house. Memberships Include: American Federation of Arts; Chicago Society of Artists; Independent Society of Artists of New York; San Antonio Art League; Southern States Art League; River Art Group. We buy and sell fine examples by this Texas Artist and have been a dealer since 1988, buying selling and specializing in works by Rolla Taylor along with other important Texas Artists. Always looking to purchase fine examples of Rolla Taylor's Texas scenes. Please call or email to discuss your painting and obtaining a free and accurate evaluation & offer or acquiring art for your collection.